FIRST PLACE! 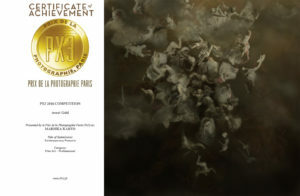 In complete category Professionals Fine Art – GOLD AWARD with my CONTEMPORARY FRESCO’S! My Contemporary Fresco’s are Fine art winners of complete category Fine Art 2016 – therefore they will be present on a Special Exhibition of complete category winners and photographer of the year. A new project is born! Project Baroque Diversity. This project shows about tattooed women and women from different cultures of our world posing as baroque ladies. These are women living right at this moment, all photographed in renaissance or baroque atmosphere. However, this is impossible from a historic time point of view, because a hundred years ago women of any other race than white were minors in renaissance European time. These woman didn’t fit in the extraordinary exclusive renaissance/baroque world. I have pulled away time from it’s structure and I wanted to give every woman a place back in history. This project is created to connect. I want to show the beauty of diversity, not to provocate, but to connect. I use history to connect in present. The goal in this project is, I want to show people, the need of change. We need to see how beautiful diversity is to find unity in diversity. The world is very dynamic at the moment and is in a deep transformation, caused by fast developments as well as technical developments, current developments in our world politics and industrial/economics. We have to keep making connections with each other to keep our world pleasant and livable, for ourselves and especially for our children.